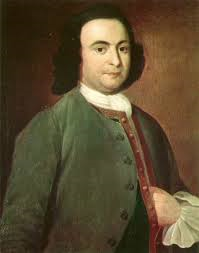 George Mason was born December 11, 1775 on a farm in Fairfax County, Virginia. He led Virginia Patriots to the American Revolution, as well as influenced Thomas Jefferson’s Declaration of Independence. He was an active member in the Constitutional Convention and advocated strong local government and weak central government which eventually led to the Bill of Rights, which he was very influential in. Along with James Madison, he was known as “The Father of the Bill of Rights.” He had specific thoughts on slavery that eventually led events that are still remembered in history today. On the topic of slavery, Mason was raised around slaves and depended on their labor for basically his whole life. For a long time, Mason had conflicting thoughts about slavery, altering back and for from whether it was right or not. Eventually, he was against the idea of slavery and believed it to be distasteful for many reasons. Mason said the slavery institution was morally objectionable and it brought about the “judgment of the heavens” on us if it were not discontinued. He believed slavery to affect and question people’s minds and morals, in the worst way. He thought that every master of a slave was a “petty tyrant”. Therefore, because of his thorough views on the institution of slavery, he sided with the abolition of the slave trade. Although, the immediate abolition of the slave trade did not earn Mason’s support because he was a slave owner himself having slaves working on the Gunston Hall plantation, manor, the fields, doing whatever description that he saw fit. He actually did not manumit any of his slaves, up until his death. He did not agree with the U.S Constitution for a few reasons. One being he realized that the draft didn’t acknowledge that America would keep slavery in the states where it was already present. He was also troubled by the draft of the Constitution because it didn’t talk about the immediate halt of the importation of the slaves. Mason’s main idea on slavery was to prevent it from spreading to more states. The select states that already have had slavery, including his own, should just stay the way it was, but not allow slavery to spread to any other free states. I think his point here was that he wanted to keep the pure states, pure, and leave the already contaminated states as they are. He especially wanted to keep slavery where it already existed because the people of those states were so used to having slaves, it would burden them with major difficulty to upkeep their properties without slaves. The people were so used to having slaves work for them that might cause more problems than good to get rid of the slaves all together, in his opinion. As soon as it was economically feasible, he favored to stop any further importation of slaves which didn’t turn out the way he had hoped. A compromise came about that decided to permit the slave trade for another twenty years, which had Mason very upset. I did not recognize any specific happenings that influenced Mason’s views on slavery, but I do believe that he was a slave owner because he was raised by his family owning slaves as well. He did not want to free the slaves he had owned because, the amount of work he had on his plate was far too much for one man to do alone. He was an associate of George Washington, James Madison, and Thomas Jefferson, who all respected Mason and his ideas. These men all influenced Mason’s view on slavery but I believe that his change of heart, turning against slavery was because even though he detested politics, he thought that it was his job to protect the rights of his fellow citizens. He took on the duty of trying to shape the government for his nation, because he was an advocate for individual freedom and the states’ rights for the parts of the country that were yet to be poisoned with slavery. Mason was known for his actions that took place during his time period. 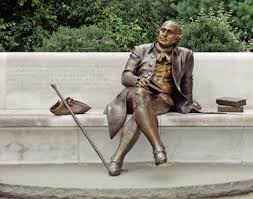 He wrote the Virginia Declaration of Rights, as well as the Virginia Constitution of 1776. His strong words caught the eyes of many people, eventually inspiring the Bill of Rights and the Declaration of Independence. Mason attempted the last of his years on earth, trying to make sure that the newly edited constitution would protect his people’s rights. Unfortunately, the Bill of Rights that got approved, did not satisfy Mason’s desire for the ideal freedom and protection of the nation’s rights, so he eventually retired from the plantation and decided not to run for senator of Virginia because that would mean he would have to join the government, which in his opinion, would lead to the beginning of the end for liberty in the United States of America. “George Mason.” Bill of Rights Institute George Mason Comments. N.p., n.d. Web. 01 Mar. 2015. <http://billofrightsinstitute.org/resources/educator-resources/founders/george-mason/&gt;. “Mason’s Early Life.” George Mason: The Reluctant Founder. N.p., n.d. Web. 01 Mar. 2015. <http://www.civiced.org/resources/curriculum/mason&gt;. Bio.com. A&E Networks Television, n.d. Web. 03 Mar. 2015. <http://www.biography.com/people/george-mason-9401773&gt;. Broadwater, Jeff. “George Mason, Forgotten Founder.” Google Books. N.p., n.d. Web. 26 Feb. 2015. “The Constitution of the United States: America’s Founding Fathers.” National Archives and Records Administration. National Archives and Records Administration, n.d. Web. 03 Mar. 2015. <http://www.archives.gov/exhibits/charters/constitution_founding_fathers_virginia.html&gt;. “George Mason.” Iz Quotes. N.p., n.d. Web. 02 Mar. 2015. <http://izquotes.com/quote/251189&gt;. “About George Mason IV.” ACPS. N.p., n.d. Web. 01 Mar. 2015. <http://www.acps.k12.va.us/mason/gmiv.php&gt;.